Tales from the Real OC (Really! ): Brazil in Pictures! Well, it's taken me a while to get them all sorted, but over the next several days I hope to post pictures of my recent Brazilian Book Tour-- before I head off on the Pen Fatale Tour next week! So, without further delay, here is a look at day 1--enjoy!! 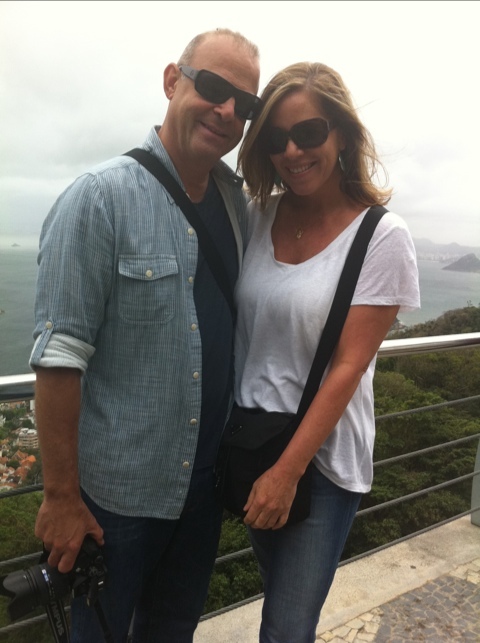 The trip to Sugarloaf Mountain in Rio de Janeiro! Ascending into the mist--didn't get pictures up there--too windy and rainy and misty--but awesome all the same! Gorgeous pictures, Alyson. A pity that it was cloudy when you went to the sugarloaf. :( But you still had an awesome view! Larissa - It was still beautiful, even with the clouds! :) Truly an amazing view! Art Geeks & Prom Queens Redux!!! More Photos from the Brazil Tour!